1520 Unreached is the missions ministry of Wells Branch Community Church in Austin, TX. The focal point of 1520 Unreached is church planting; all other ministries support and facilitate this core activity. 1520 Unreached currently has missionaries in Tanzania working amongst the Zaramo tribe. The Zaramo tribe is comprised of 1 million people with less than 2% being Christian. Since launching in Tanzania in the Summer of 2014, 11 churches have been planted, over 250 Zaramo men and women have professed their faith, and 10,000 pieces of scripture have been distributed. 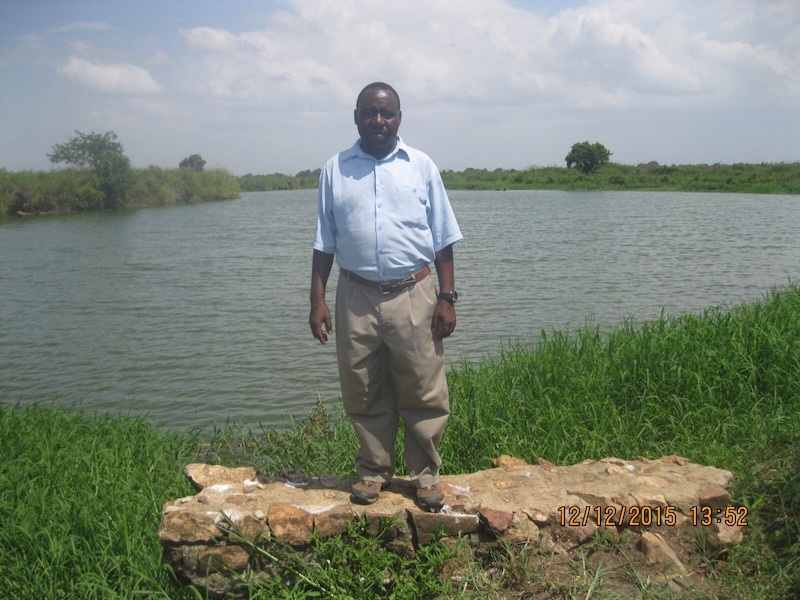 All of this has been accomplished in partnership with local Tanzanian pastors. Our desire is not to be the face of ministry in the places we minister, but to be the encouraging force. Our local pastors lead the charge in the Zaramo region, spearheading evangelism outreaches, interacting with local government leaders, and facilitating our humanitarian efforts in addition to ministering. Our church system is structured as a hub-and- spoke, with the “mother” church located in the largest town in the Zaramo region. Our church planting strategy is to find young men with a heart for God and through discipleship by local leaders and biblical study, mold them into pastors. We also strive to create small businesses in every country we establish church plants, giving the local pastors the ability to do ministry without relying on foreign aid. 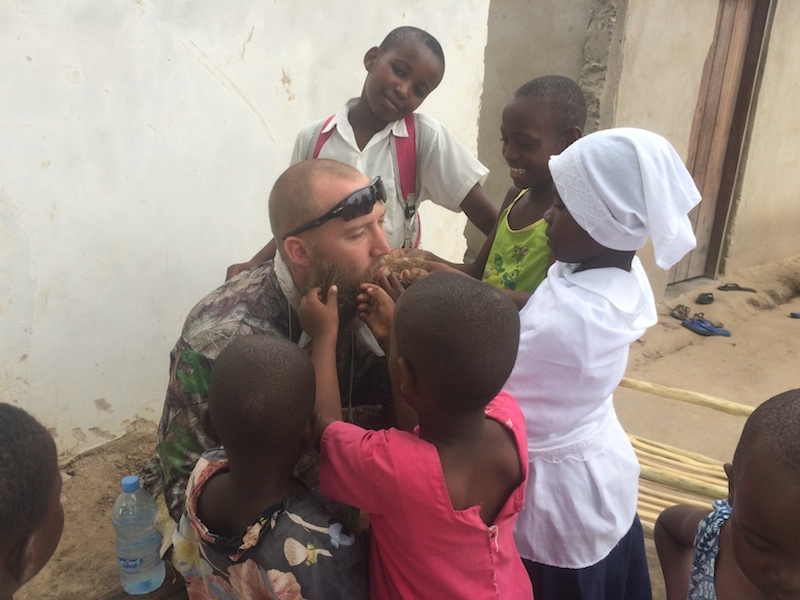 We desire to break down the pattern of reliance on foreign aid to spread the Gospel. Each pastor will live in a different Zaramo village and plant a church. 1520 Unreached will assist every pastor in obtaining biblical material, evangelism efforts, and humanitarian aid as a way to gain acceptance in the villages. We strive to facilitate local leadership in achieving their and our goals. The Zaramo are a Bantu tribe who live in the coastal plains and low hills surrounding Dar es Salaam, Tanzania’s port city. They are closely related to the nearby Luguru people, with whom they share a common language, also called Zaramo. 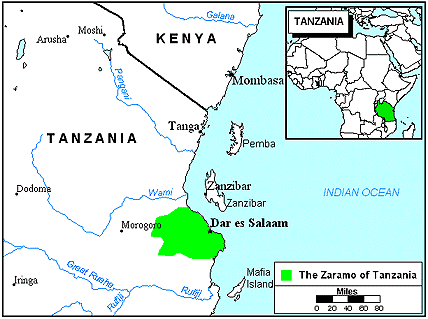 Many Zaramo also speak Swahili, the language of trade and communication for much of East Africa. 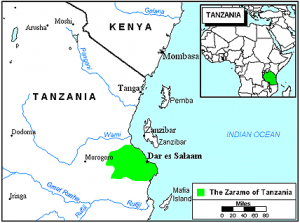 Before the eighteenth century, the Zaramo lived farther inland, and have only moved into the area around Dar es Salaam in the last 200 years. They could have become a powerful tribe in the region, but because of internal fighting, they have prevented themselves from gaining any real influence. During the late nineteenth century, the Zaramo became prominent traders, dealing in ivory, salt, fish, and rhinoceros hides. They were also highly involved in the slave trade and would hunt slaves from other tribes. 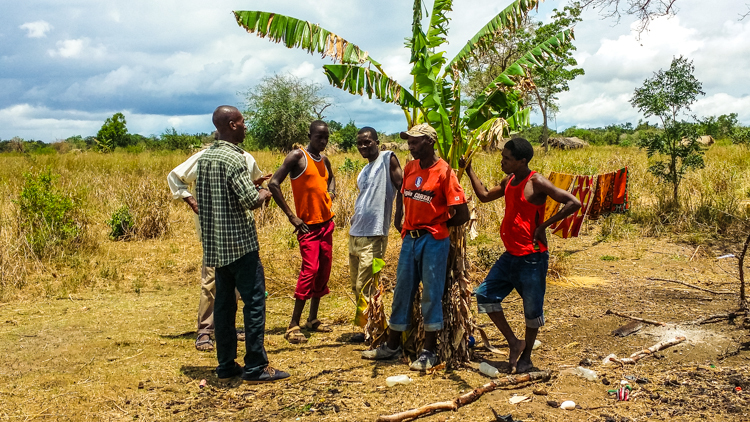 Although a few Zaramo live in cities such as Dar es Salaam and follow modern professions and lifestyles, most continue to live in the countryside and earn a living as farmers. They raise cash crops that include mangoes, oranges, and coconuts, as well as cashews and rice. Rice is usually sold in the cities. Other plants cultivated include tobacco, corn, beans, sweet potatoes, pineapples, sugarcane, limes, and cucumbers. 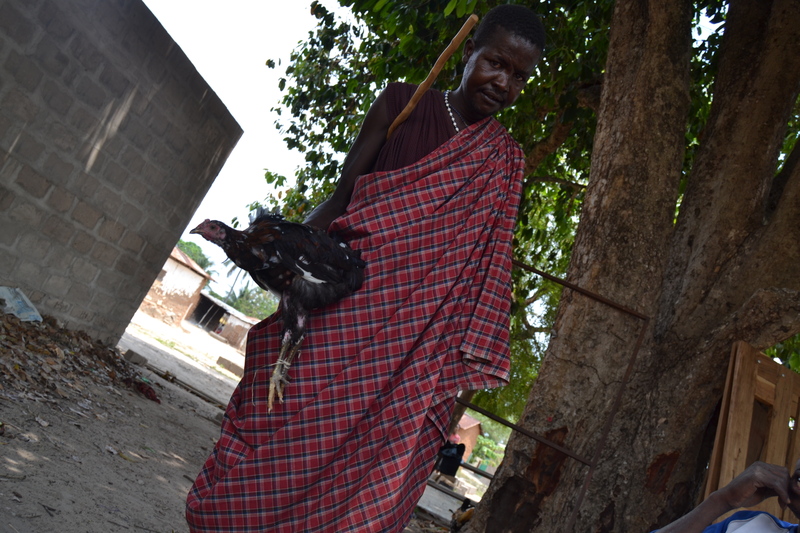 The Zaramo also raise livestock, with goats, sheep, and chickens being the most important. In rural areas, the Zaramo live in rectangular houses made of a framework of poles tied into place and plastered over with mud. The roofs are thatched with grass or reeds, or woven from coconut palm fronds. 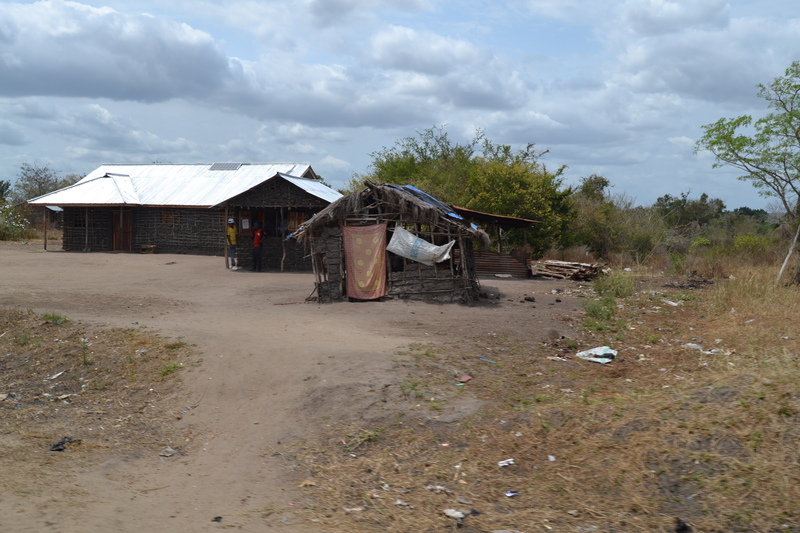 More prosperous Zaramo have homes with concrete floors, plastered walls, and corrugated iron roofs. Their villages are small, and vast spaces are completely uninhabited due to a scarcity of water. A unique characteristic of the Zaramo is the fact that their society is matrilineal. This means that the line of descent is traced through the females. Family names are passed down through the women. Their society is divided up into clans, or groups of Zaramo who acknowledge common descent. The children always belong to the clan of their mother rather than their father. Zaramo marriages are usually polygamous (one man having several wives). The birth of a child is a great event for the family and clan, especially if the child is a girl, since the birth of a girl ensures the passing on of the family name. Today, the Zaramo are predominantly Muslim. Although they adhere to the teachings of the Koran and observe the basic Islamic practices, many have mingled their Islamic beliefs with their traditional ethnic religion. Islam has only gained a foothold among them in the last 100 years. Traditional Zaramo religion contains many superstitious beliefs. The Zaramo follow superstition as well as the Islamic religion. 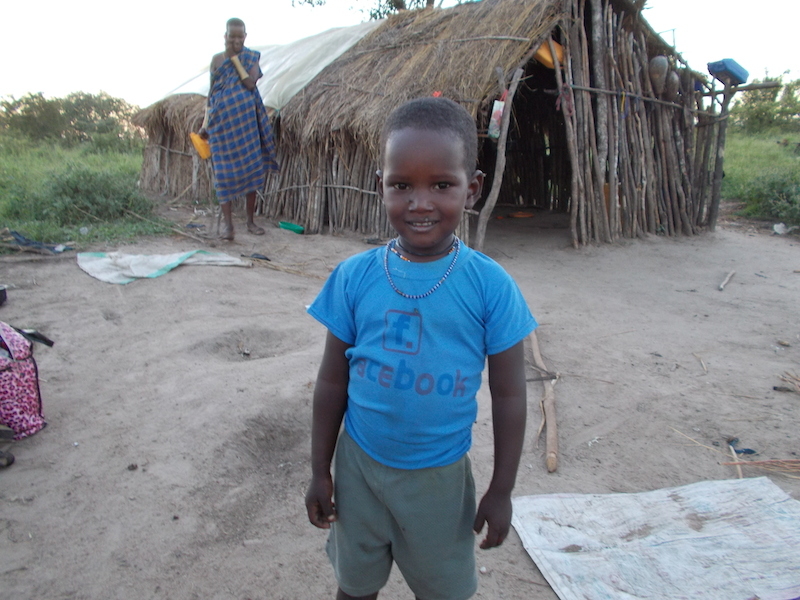 The New Testament is becoming available in their language. Prayer and intercession are needed to break the strongholds that are keeping them bound. The Zaramo need laborers who are willing to go and work among them. The population of the Zaramo is approximately 960,000. The persecution ranking of Tanzania is in the Top 50 according to Open Door. 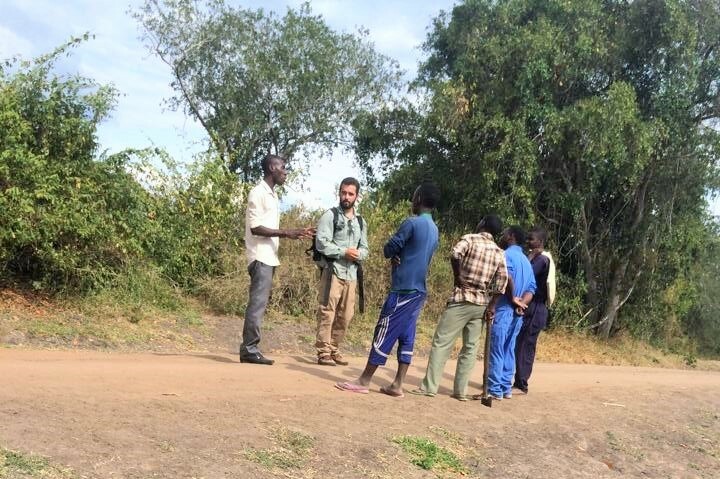 Pastor Eliah evangelizing in the Zaramo.All information gathered from Joshua Project.